Mangaluru, June 30,2017:Trade bodies and enforcement agencies in Dakshina Kannada expect a smooth transition from the present tax regime to Goods and Services Tax (GST) regime from tomorrow July 1. according to knowledgeable persons over 90% of traders, industrialists, and service providers have already migrated to GST here. 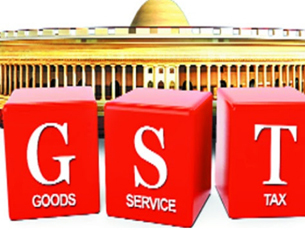 Most traders, industrialists, and service providers already migrating to GST, there should not be any problem in the smooth roll-out, M. Subramanyam, Commissioner of Central Excise and Service Tax, Mangaluru, who is in-charge of the three coastal districts, said. Meanwhile, the Kanara Chamber of Commerce and Industry (KCCI) president Jeevan Saldanha told media that he has not heard any undue complaints from the business community with regard to migration. “Those who really wished to migrate have already migrated without any difficulties,” he said. Compliance to law is very high in DK and it is visible in migration to GST too, he added. Having opened a help desk last month to assist traders in migration to GST, the KCCI has planned to open the desk again from July 1 for a week. Anyone from Dakshina Kannada may approach the help desk to get guidance, Prez Saldanha said. It had also organised several seminars to educate the trade body about GST, including ones with State Commercial Taxes Commissioner Ritvik Ranjanam Pandeey and Subramanyam. Post-GST rollout, it will organise another seminar, mainly featuring a question-answer session to address doubts, Saldanha of KCCI said. Manufacture of plastic, the ancillary industry of petrochemicals industry, which is dominant in the region, too did not face any hurdle during the migration, said Canara Plastic Manufacturers’ Association President B.A. Nazeer. He said the tax rates have slightly come down from 20.5% to 18% under GST. The routine business too has not been affected in the transition phase it was stated.